Lot 93 C/I Oval Diesel Locomotive Worksplate. 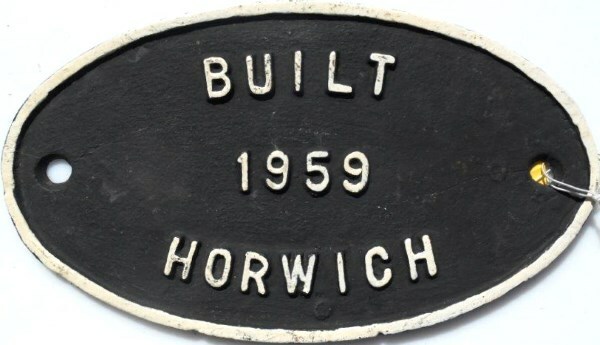 "HORWICH 1959". As carried by a BR 08 loco No 08 660. Ex Loco condition.